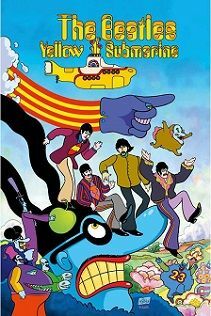 Bill Morrison Writer/Artist "The Beatles Yellow Submarine"
Rich: Were you a fan of the Beatles before making "The Beatles Yellow Submarine”? Bill: Yes, I’ve been a Beatles fan since I was five years old. The first record I ever owned was a Beatles album of sorts. It was “Alvin and the Chipmunks Sing The Beatles’ Hits” My older brother and two older sisters had real Beatles albums though, so we always had their music playing in our house. I also remember seeing them live on TV on the Ed Sullivan Show. 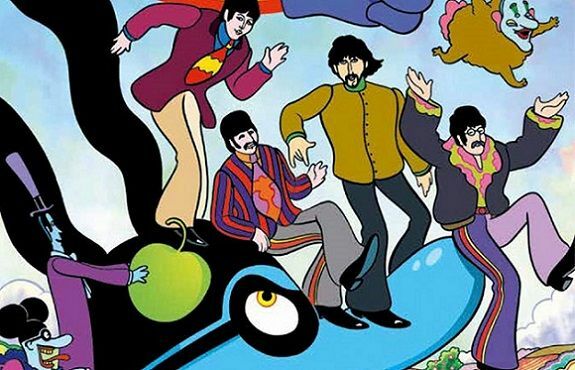 Rich: What most stands out for you in "The Beatles Yellow Submarine”? Bill: I think the designs of Heinz Edelman are incredible. Other feature animated films of the time either had the Disney style or they were stop motion clay animation. 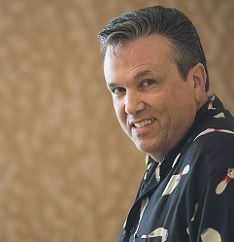 What Edelman brought to the film was something completely original and it perfectly captured the feel of the Beatles music. Rich: When drawing the Beatles how did you manage to achieve such great likenesses of each one? Bill: All I did was follow the designs established by Edelman in the film. I’ve always had a fairly easy time of drawing animated characters “on model”, as long as I have plenty of good reference such as model sheets and screen shots. 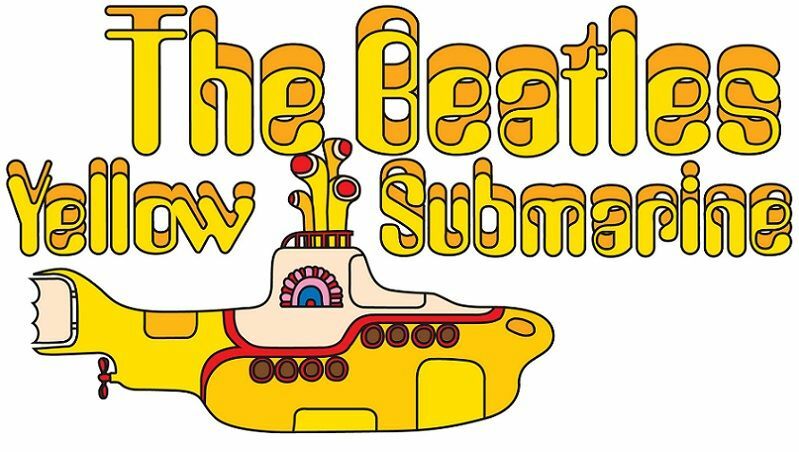 Rich: What genre would you say "The Beatles Yellow Submarine" is? Bill: I would describe it as musical fantasy. Rich: How would you describe Fred? Bill: Fred is sort of the Gandalf of the story. He leads the band on their quest and guides them with his knowledge and wisdom. He’s not necessarily as capable Gandalf, but he has his moments. Rich: What makes a Blue Meanie a Blue Meanie at the start of this comic book? Bill: They’re defined by their hatred of music and beauty. 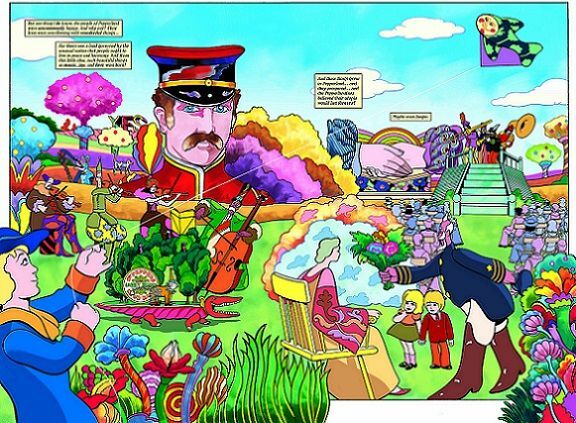 There are the actual Blue Meanies, and then there are their troops, the Apple Bonkers, the Countdown Clowns, Jack the Nipper, etc., and their ultimate goal is to eradicate all music and beauty in Pepperland. Rich: Do you think our society could ever adopt the ideals of Pepperland? Bill: No, I think Pepperland is portrayed as a heaven on Earth, and I don’t think that’s really possible. We’ll always have elements of evil and hate in our society that prevent us from having a real utopia. But I do think it’s a goal to work toward. It would be great to get closer to a Pepperland than we are now. Rich: How has your career progressed at Bongo Comics? Bill: My time at Bongo was a wonderful period in my career. I’m very proud of the comics we put out and I know the experience of being Creative Director there really prepared me for my current job. Rich: What is going on with "Roswell, Little Green Man”? Bill: I haven’t drawn Roswell in several years. I had to put it down when I took on the Art Director position on Futurama. I was also doing my regular Bongo job at the same time, and I just didn’t have time to do all three. Over the years I’ve wanted to revive it, but it just hasn’t happened. Maybe after I retire from MAD I’ll start it up again. Rich: What do you have planned next in your career? Bill: I hope to be editing MAD for the next several years. 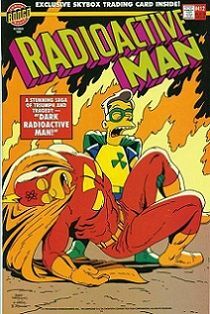 Rich: What would you do if you had the Radioactive Man's powers? Bill: Use them to hang out with Batman. Rich: Any parting words for all the fans of your work? Bill: I hope they’ll pick up the Yellow Submarine graphic novel. It’s been my dream over the past twenty years, and I’m thrilled that it’s finally published. I think fans of my work will really dig it!